Black apple is a fruit from Australia. 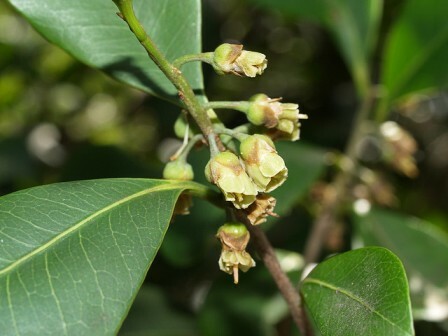 It grows there wild in the rain forests of Queensland and New South Wales. The fruits are edible but not very tasty. A slow growing medium to large sized tree with dense timber, growing upto 30 m tall. 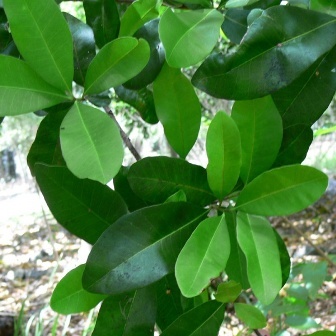 Leaves obovate, ovate or elliptic, mostly 8–16 cm long, 2–5 cm wide, apex obtuse or bluntly pointed, base tapering, thick and leathery, upper surface shiny, lower surface paler green, secondary and fine veins distinct and raised on both surfaces; petiole 5–10 mm long. Flowers usually axillary, solitary or few-flowered clusters; white, 5 petals, singly or in clusters, protogynous. 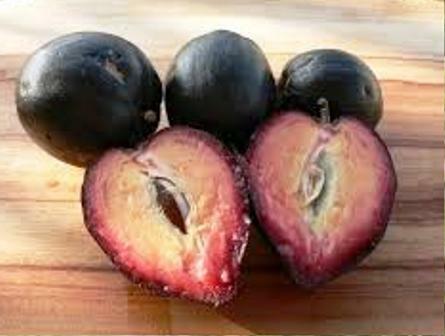 Fruit obovoid or globose, 20–60 mm long, purplish or black, resembling plums. Seeds 2-5, 2 cm long, brown and shiny with a whitish elongate scar..
Black apple fruits are fibrous and taste sweet. As it is difficult to pick fruits from trees, so the fallen fruits are collected, mostly by aborigines, and eaten. Settlers in Australia make a preserve from these fruits. Seeds of black apple are also reported to be eaten by aborigines of Gosford region of New South Wales, Australia. Wood of this tree is attractively patterned. So it is used for making rulers. Black apple fruits are still gathered from the wild growing trees and this fruit is still not cultivated as an orchard fruit. 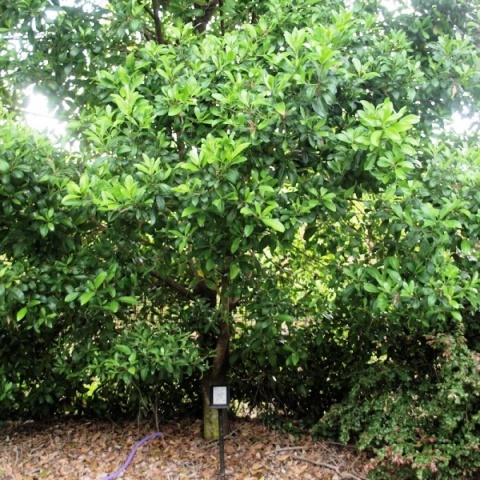 Trees are occasionally planted in gardens as sample plants.